Bryant Park excitedly welcomed city-wide boot camp The Rise to the park as part of Bryant Park FitClub. The group's 6:30am workouts, Wednesdays on the Fountain Terrace, were so popular that the The Rise's stay was extended through the winter. Though the location changed from the Fountain Terrace to the Library Terrace, the workouts are just as high-fivey and smiley. If getting out of bed for a pre-dawn workout doesn't make immediate sense to you, maybe this will entice you to join us one morning: the Rise's workouts are themed! And you're in luck--the next themed workout is on Christmas Eve, right here at the park. Sergeant Santa will lead the group through the high-insensity interval training (HIIT) exercises, including Mystery Gift (pick a tennis ball from a wrapped present; each ball has a different exercise on it), Candy Cane Burpees, and plenty of other exercises. Christmas puns, high-fives, ugly sweaters, and new friends are all highly encouraged. 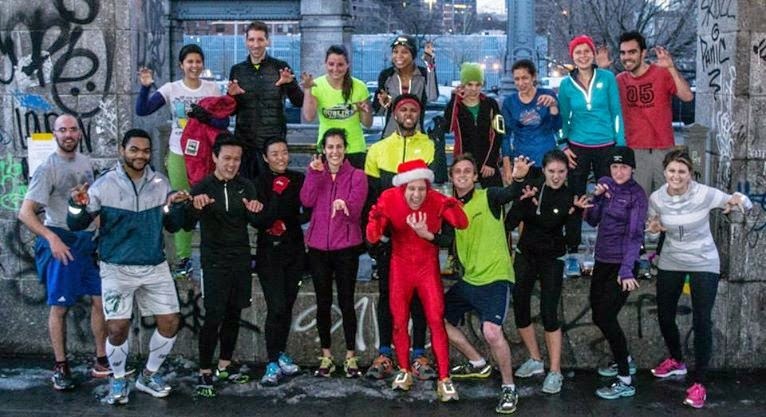 Last year's Christmas Eve workout took place at the Williamsburg Bridge. Sergeant Santa is front row, center. The Rise has sweated during other theme workouts, too. Some recent ones are below. For more, see their Facebook page, which posts photos of each workout. 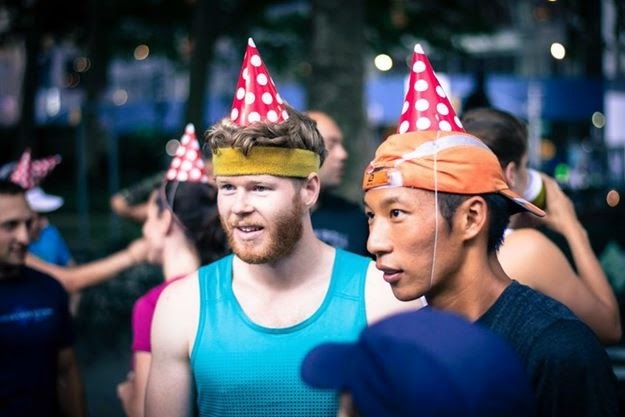 For the Fourth of July, Risers celebrated the nation's birthday by wearing party hats for the duration of the workout. 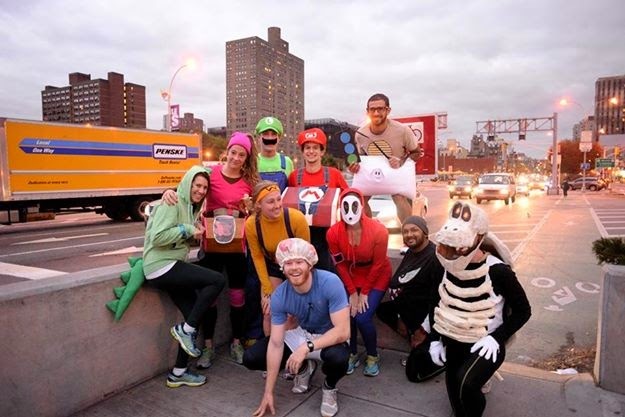 For Halloween, Risers dressed as video game characters for the workout.